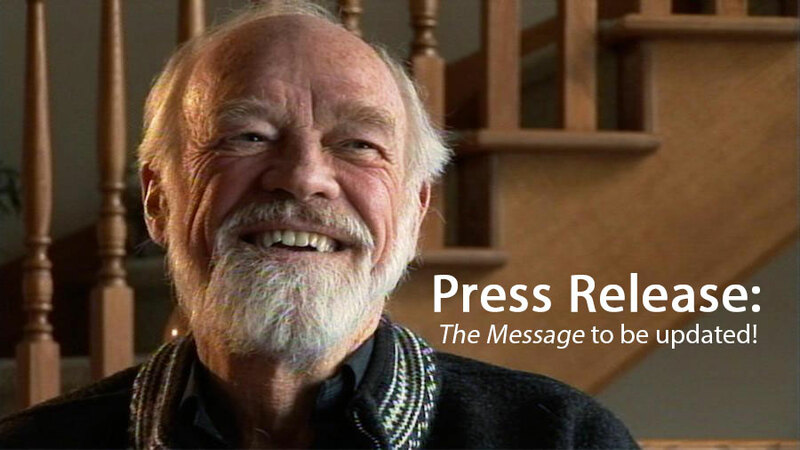 Grand Rapids, MI — Zondervan Publishing and Baker Academic are pleased to announce that Eugene Peterson’s The Message will be retranslated by a team of biblical scholars in 2017. Peterson, the beloved pastor and author, has written dozens of widely read books, though none have had the impact and influence of his widely used paraphrase of the Christian Scriptures, The Message: The Bible in Contemporary Language. 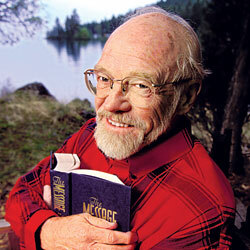 While The Message has had tremendous influence in Evangelical homes, pulpits, and seminaries, a group of scholars began to dream of an updated and expanded version to be called The Remixed Message: The Bible in Even More Contemporary Language. Peterson, upon hearing of such interest, responded positively and quickly Christian publishers began to bid for the rights to release it. The international team of biblical scholars will include N. T. Wright, John MacArthur, Scot McKnight, Jimm Wood, Grant Osborne, Rick Wadholm Jr., Pat Robertson, Bart D. Ehrman, and Steve Burnhope. The Old Testament translation will be chaired by Peter Enns and the New Testament by Rob Bell. The Remixed Message will also have consultants from a wide variety of denominations providing oversight, including Mark Driscoll,* Franklin Graham, Joel Osteen, Bill Johnson, Steve Furtick, and T. D. Jakes. Most notably, given the discovery of the Q document, The Remixed Message will include Q as part of the Gospels and will also include the Apocrypha, to be translated by Pope Francis. The Bishop of Rome believes this is a wonderful way to work across denominational lines and to introduce Protestants to the wonders of both creative translation and the beauty of the Apocrypha. As an added bonus, the Holy Pontiff has recorded himself reading Zephaniah, which will be supplemented by 14 new remixes of ‘Oceans’ by Hillsong United. A copy of said compact disc will be included with first 500,000 copies of The Remixed Message translation. * Driscoll was unable to find a ghost-writer in time to contribute his sections. He will be replaced by Jesse Duplantis.